Are you looking for some great brand new inventory? These are all still in original boot/shoe boxes, absolutely brand new overstock! These are perfect for any type of reseller! 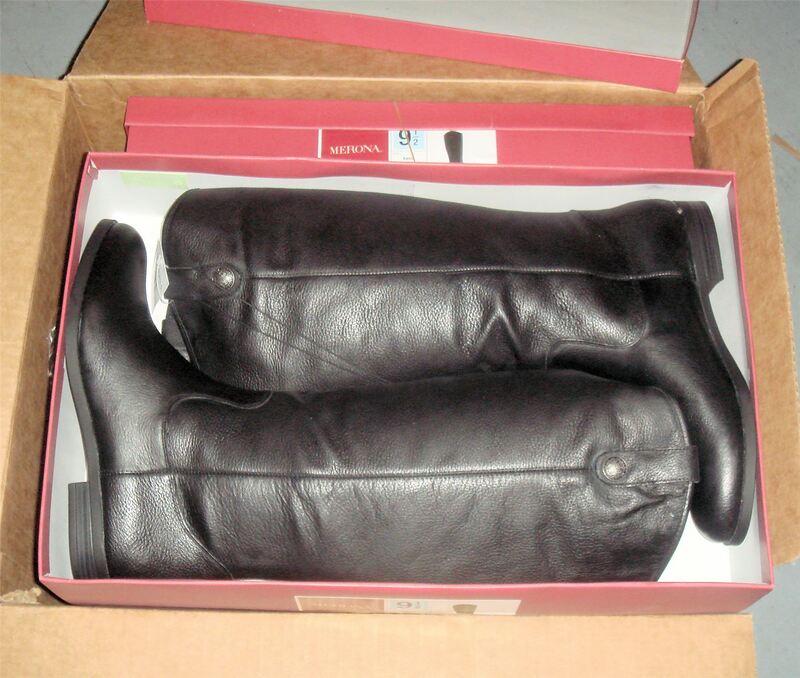 This is a wholesale case pack of 4 Pairs of Leather Riding Boots. Buy 5 or more cases and save 5%! We also have the same boots available in size 8.5 too. Hit the streets in style with the Women's Merona Kasia Genuine Leather Riding Boots. These sophisticated knee high boots feature a sleek silhouette, smooth round toe, and subtle Western-style detailing like buttoned pull-straps, a decorative tongue and an arched shaft. They are crafted from genuine leather and feature foot-friendly construction like flexible, non-marking outsoles and a non-skid tread. Pair these preppy boots with anything from skirts to skinny jeans to create a polished look that will carry you from fall to winter. Click the button below to add the Wholesale Case of 4 Merona Kasia Leather Riding Boots Size 9.5 Black Brand New Overstock to your wish list.